Approximately 175 acres in Creston! Immaculate three bedroom, two bathroom home was built in 2003. It was built with 2x6 framing and has vaulted ceilings and a wood burning stove. Inside, there are tile floors, central air conditioning and a separate laundry room. All bedrooms have a sliding glass door to the outside. The property features a horse corral and storage container. There is storage tank and second well which runs on portable power located at the back of ranch. Great road system allows you to easily travel from the home to the back of the property. Plenty of room to run a modest number of cattle. The property offers varying terrain from native chaparral to grassy hills, seasonal creeks, Oak and Pine Trees. Property offers excellent horseback and ATV riding. 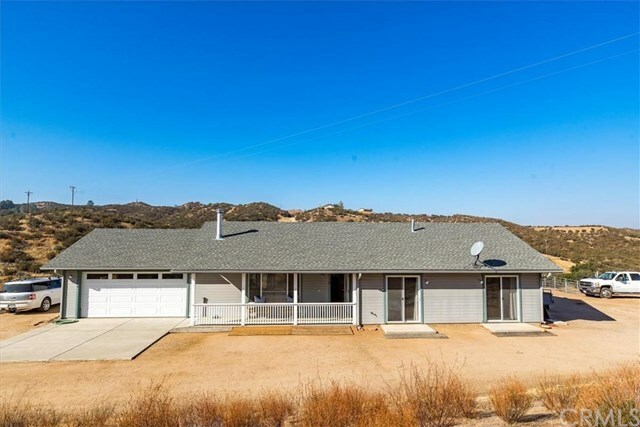 Abundant wildlife and privacy, all only fifteen minutes from downtown Santa Margarita. Blue Road is currently being paved from Hwy 58 to Blue Ridge Road making the commute very easy.